Juice may be the magic bullet to health—it packs a huge punch of nutrition in every delicious sip. To get the most from juicing, certain vegetables and fruits are better drunk at different times of day. 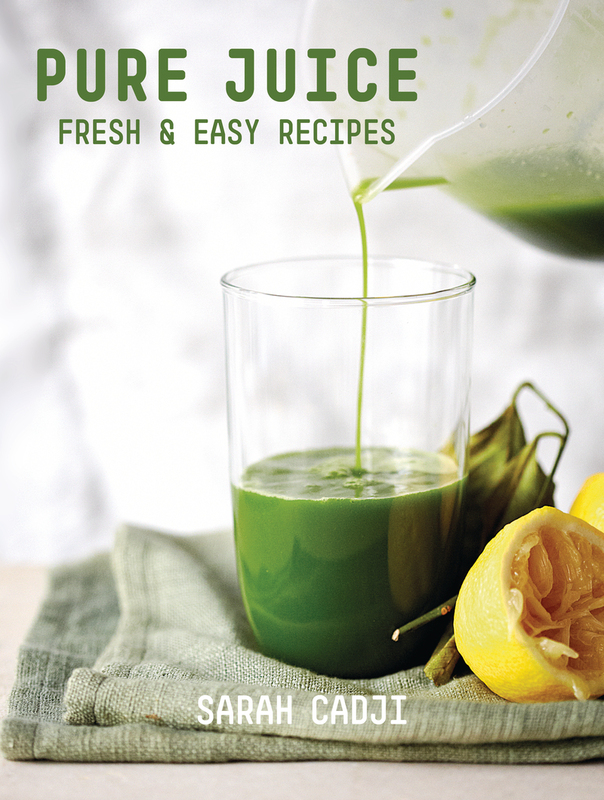 Pure Juice shows readers how to most effectively juice—with dozens of delicious recipes. From revitalizing morning juices to midday energy shots to restorative nutrient-dense drinks in the evening, these recipes are pure, concentrated, and healthy. Sarah Cadji spent ten years working in finance, until illness prompted her to begin researching the health benefits of vegetable juice. She opened London's first stand alone, cold-pressed, juice bar Roots & Bulbs in in January 2014 to great success; she has a third location in the works.